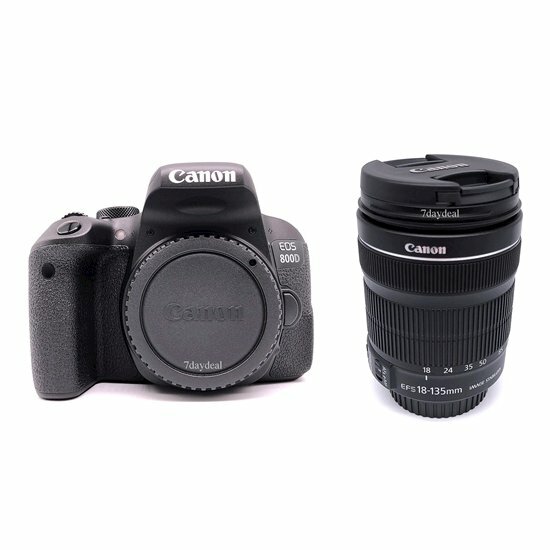 Packing a versatile feature-set in a sleek and portable body, the Canon EOS 800d offers advanced imaging capabilities along with a convenient range of controls and connectivity. Utilizing a 24.2mp APS-C CMOS sensor and Digic 7 image processor, the Canon 800d is able to capture high-resolution stills and video with an expanded sensitivity range of ISO 100-51200 to suit working in a wide variety of lighting conditions. The sensor and processor combination also avails 6 fps continuous shooting for working with moving subjects. Benefitting the imaging attributes, the sensor's design also facilitates dual pixel CMOS AF, which uses phase-detection autofocus for quick, accurate, and smooth focusing performance when recording movies or shooting stills in live view. When shooting stills using the optical viewfinder, a 45-point all cross-type phase-detection system is used for quick and accurate focusing in a variety of shooting scenarIOS.